Thanks to @Ashinthepan for this art piece! How do we stop an assassin? (0:00:29) Sam: I’m dedicating this ad for D&D Beyond to the Second City. (0:01:22) So jump on the L! Take the Eisenhower to the Kennedy, throw back a PBR or a 312 and grab a deep-dish on me. (0:02:07) Travis: Or Cubs or White Sox! (0:31:04) Liam: You did that just like the glitter guy. Blood Maledict. (0:36:44) Taliesin: Did it set off the blood hunter spider-sense at all? (0:50:47) Taliesin: Help me help you. Travis: You Jerry Maguire motherf***er! (1:28:07) Marisha: I jump down in front of the kids, Batman style. (1:32:00) Sam: I’ll make [the illusion] sort of inflate, then start Salvador Dali start dripping. (1:32:53) Marisha: Thanks for coming to Fantasma! The park is now closed! (2:21:50) Liam: It’s from Pokemon! (2:51:08) Sam: That was an Agoura Hills earthquake. (2:55:16) Liam: Ho ho ho, let’s identify all of this s***. [...] Sam: Sinterklaas! (3:10:01) Matt: You die on the level up, you die in real life! (3:19:32) Laura: The radiation area in Fallout. Get out! Get out! [...] Travis: You are leaving the combat area. (3:25:23) Marisha: ...as Taika Waititi. (3:26:07t) Liam: This is more like an experience, like Sleep No More. (3:58:10) Travis: Biga** Doc Martens. (4:00:35) Matt: Your face is curled up into a Joker-like smile. (4:01:04) Travis: You sound like The General car insurance. (0:37:03) Molly: With Beau’s. Fjord: Maybe not bows. Molly: With Beau’s rope. Beau: Oh yeah. I can also tie bows with Beau’s rope. 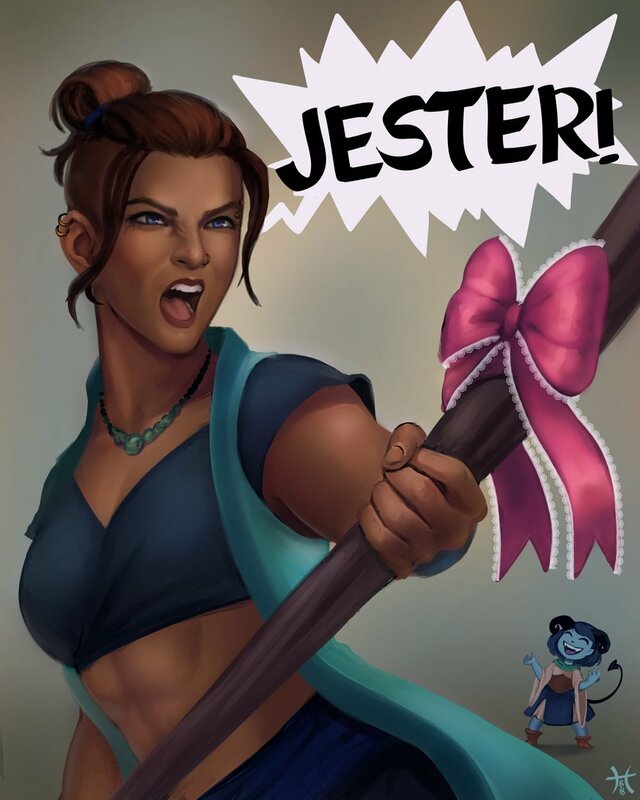 Jester: Also, bows are really cool, we should give him some.. Beau: Wait. You want to put my bo in bows? (escaping with Beacon) Liam: I turn into an alley. Taliesin: You can turn into an alley? (2:22:59) Matt: It’s very iron-y. [...] Nott: It’s ironic! (3:21:02) Travis: The Leaky Nip. What’s it called? [...] Matt: That’s a different establishment. Taliesin: That’s a daycare. (3:35:44) Pumat II: That’s a pretty penny because that’s a pretty item. (3:48:10) Liam: Um … pause. Pumat II: Hands. They look paws-ish. (3:50:11) Liam: Sum it up for me. Give me the Tenser’s Floating Disk pitch.